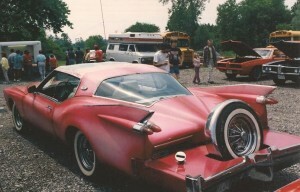 Over the last decade, we’ve seen explosive growth in the hot rod and custom car industry and hobby as a whole. 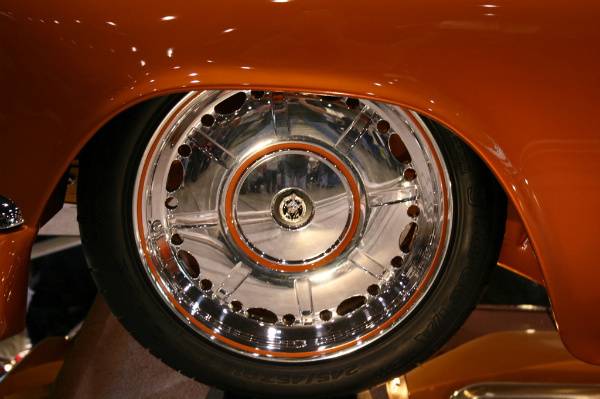 This can be attributed to the popularity of television shows like Overhaulin’, American Hot Rod and others, as well as Powerblock TV, the Barrett-Jackson Collector Car Events, and of course, access to great personalities like Chip Foose, Stacey David and others. This brings in new enthusiasts, and naturally, more project cars! Not since George Barris snapped thousands of photos and wrote hundreds of articles promoting the hobby back in the 1950’s and ’60’s have we seen so much attention on our hobby, and it’s amazing to witness. Yet, while there’s all of this excitement, many of these new fans and participants are feeling lost when starting a project. It can be a daunting task to say the least, but when taking those first steps, having the right footing can make all the difference in the world. Naturally, any success in a project requires a plan, and building or modifying a car requires very careful thought at this stage. I’ve often heard guys say “I just build as I go… no plan, just what feels right”, and sadly, it certainly doesn’t look like it must feel in many cases. Disjointed design, half-assed “fixes” to make parts fit, and often unsafe “engineering” (“engine-beering”, most likely) have sent many a project to an early grave. The best advice would be to bring on an experienced designer to help guide you along. As a professional hot rod and custom car designer with over twenty years experience in the auto industry (from parts and service to body and after-market accessories), as well as training in design and fine art, I’m here to offer some advice on taking those first steps. The importance of having a vision on paper, especially when working with shops and others on a team, can’t be overlooked. Get what you want for your custom car dream! Not only are you hiring someone to assist in laying the groundwork for your project, but the designer must also be able to convey your ideas and tastes, as well as create a piece that will inspire your build team. You’ll want some “wow” factor, but also be sure that your designer draws with proper scale and proportion! Taking a cartoon-like image or shoddy “Photochop” to an experienced builder will get you laughed out of the shop. The kid you hire in a forum might make that ’58 Edsel bumper look like it fits your Monza in the drawing, but in reality, would it? 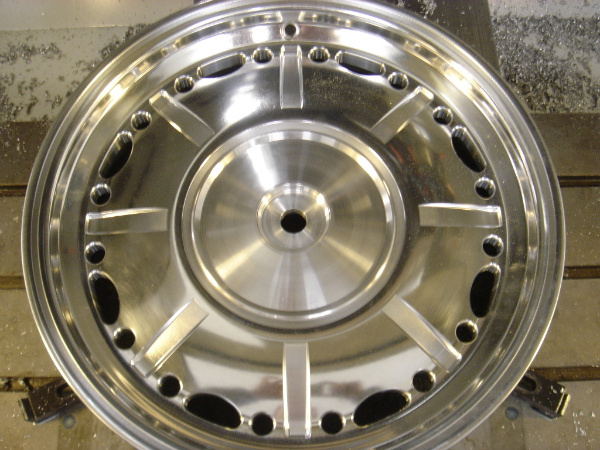 And, are you looking to blow your budget on wild changes before the car even hits primer? Look around, and study the artist’s styles and prior work. Much like you choose a car that excites you, be it for nostalgia reasons, a certain feeling it gives you, or just the fact that you liked it overall, you’ll be miles ahead by selecting a designer in the same way. When the car is torn apart and looking bleak, the artwork will serve as an excitement generator. Spend some phone and email time talking with designers. Do you, “get along”? Can communicate freely? An open exchange with your designer will pay off in a HUGE way during the project. if asked, but also take an idea you have and run with it. simply hiring a “wrist” to make some lines based only on what you say is boring, and will leave your design “flat”. Is the designer looking to create a portfolio piece on your dime? Doesn’t simply re-hash the same 3D model their last 40 customers got (but with different paint and wheels) because, you’ll get, well, the same car as those other 40 guys! Make it an open exchange where ideas can flow freely, and you’ll be pleasantly surprised how an idea can grow or be refined to mind-blowingly cool in the right hands. Get the terms and details of the design ironed out immediately. How many revisions will you receive? What’s the cost for additional revisions? How will the work be delivered? Can you use the artwork to promote the car? A professional designer will provide a contract explaining these important terms allowing for worry-free design time. Pay attention from step one, and you’ll avoid starting over when your forum buddy disappears with your PayPal payment. Understand, too, that “you get what you pay for” applies with car designers. If you want your designs quickly (or just on time) and at a high quality, be prepared to pay a bit more, and respect the time required to perfect a design. Much as you wouldn’t rush a surgeon reconstructing your body, give your car-body the same consideration for equally functional results! That guy is the enemy of designers, and it translates to “headache” to any pro. Have an idea at the first consultation, even if it’s vague, and ask for direction/advice if needed (see step 2). Know what you’d like to do with the car. Will it be restored? Modified? A combination of the two? Something wilder? A professional designer will offer examples, and throw ideas around with you, hitting on your likes and dislikes before pencil hits paper. Many great cars develop during these “bench racing” sessions, and you’ll save a ton on revisions. Communication is your best friend here. Simply jumping from style to style will burn you and your designer out, and close doors on really creative ideas. Research the hell out of your project and ideas. Go to shows, cruise nights, rod runs… Pick up magazines, books, videos… Look around at what’s been done, and find a style that you like. Sites like MyRidesisMe.com offer custom car “garages” and show and race picture galleries that are great resources for ideas. Make a list of things that you enjoy about cars and save pictures that remind you of those features. Perhaps you enjoy good handling, or maybe straightline performance is more your thing. Maybe it’s all about the look of the car, and you’re after a show car that’ll make people stop and drool. It’s during this hugely important stage that you and your designer will determine a “direction” for the project. You should have a list of your dreams for the car, as well as a list that is more realistic, taking into consideration the reality of the car you’ve chosen. Approaching a professional designer with these ideas in place will save time, frustration, and above all, help to nail your “perfect” concept. If you’ve seen a teal green and gray car with a tweed interior and 15-inch billet wheels lately and thought “wow… the 1990’s called, and they want their car back”, imagine what response a car built in a trendy style today will elicit in ten or fifteen years. Simply shopping at the “popular kids” table will, inevitably, breed you a cookie-cutter car. Simply saying “oh man, that car that won Street Machine of the Year had a cool hood, so I want THAT hood, and the same wheels, and the same paint, and then that car that won the year before had those seats… I want THAT interior…” and so-on, will not design or build YOUR dream car. Much as you may have enjoyed looking at Alyssa Milano on TV, did you marry her? Chances are, you found someone who fit your life, who matched that often undefinable set of criteria that just “did” something for you. This project car should be no different. It should be a unique reflection of YOUR style, and a talented designer will help you to make that happen. “Build to YOUR taste, not someone else’s” is my credo in the studio. 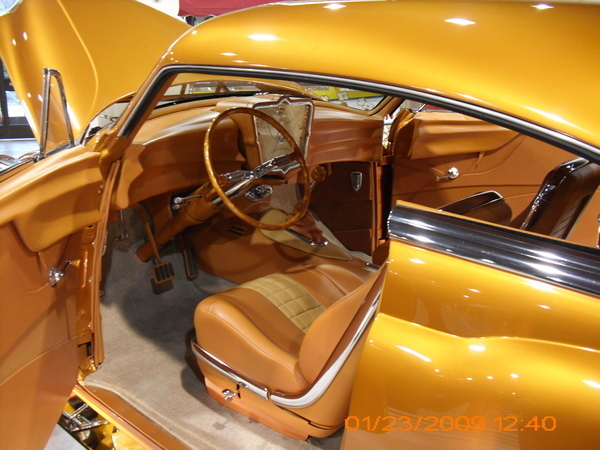 Seek out a designer who understands the style you’re planning to build your car in, and can offer unique approaches to design problems that not only make your eyes pop out, but will prevent your hard earned dollars from doing likewise from your wallet. 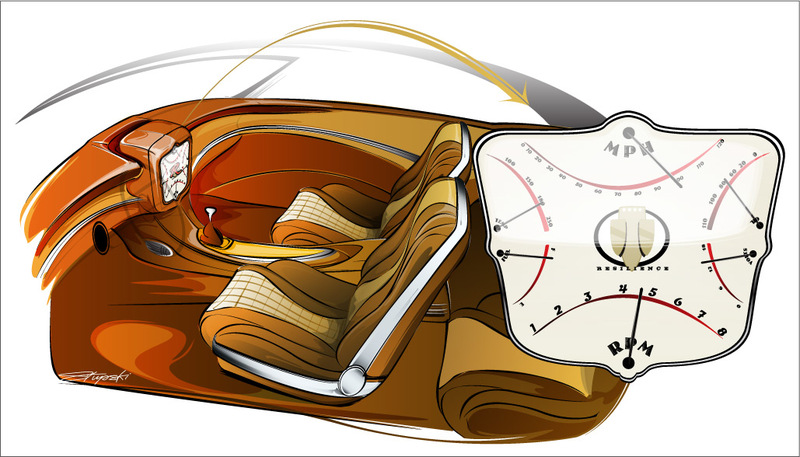 Approach modifications tastefully, respectfully, and with the thinking “how does this change affect the rest of the car? What purpose does it serve?” If it makes sense, do it. If it’s questionable, question the hell out of it! That said, head on out and explore… look at work, compare styles, and talk with designers. Your decision should go beyond price, and be the RIGHT FIT for your project. Seek out a designer that can listen, offer ideas, and above all, nail your design. After all, simply setting sail on the ocean might take you SOMEPLACE, but is it where you WANTED to go? Hiring a designer will help chart that course AND reach the end of the journey. When plotted correctly, your designer will have you itching to hoist the sails again, and that’s what this whole car thing is all about anyway… feeding that passion. Thanks for stopping by Tim! 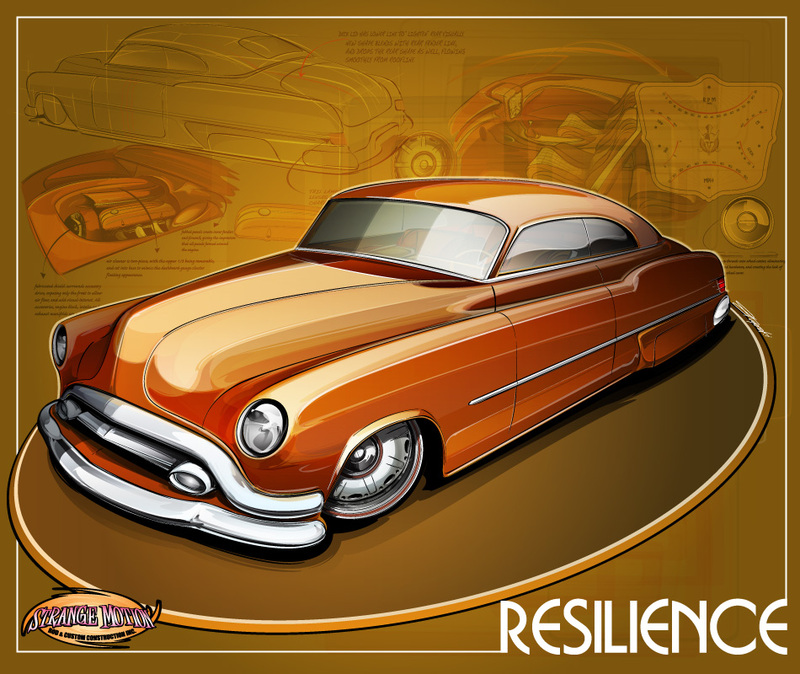 As the builder for “Resilience” the custom car shown here in the story, you know first hand the difference between having and not having a pro doing your designs. Thanks again! Exactly… The artwork definitely “illustrates” (sorry) just how well communication works when the owner, builder and artist are all involved and on the same page. It helps, of course, to have a builder like Tim who has a great sense of design, and can turn those ideas into reality as well. This was a great project, from Tim’s rolling start and amazing ideas, through Erik and Paul’s open-mindedness, it was just a blast to draw away! Thanks, guys. Great Post! 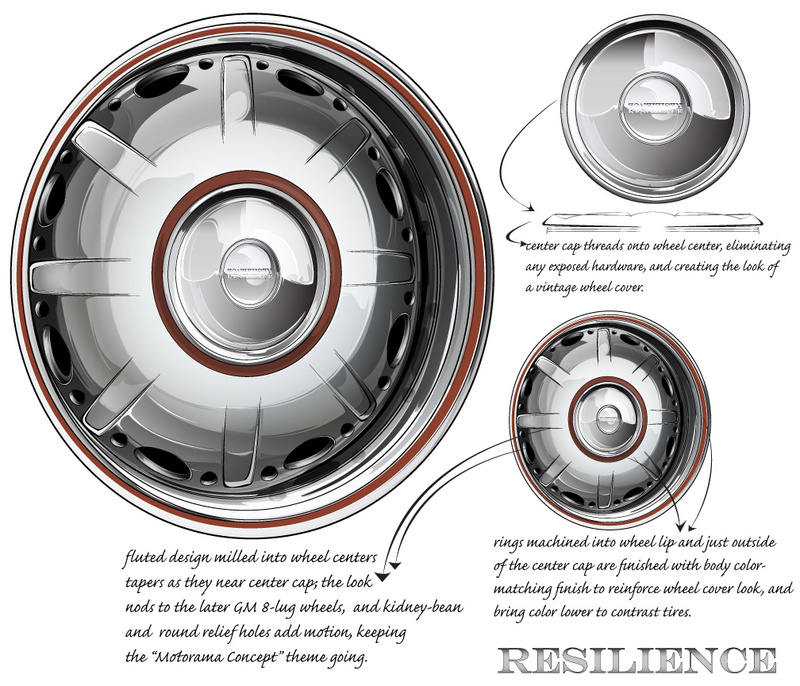 I really like the evolution of the wheel! Awesome Tips. I really liked the third tip.